This is a replacement Aerofoil in PrePreg Carbon Fibre for the new shape Exige My2010 and onwards. 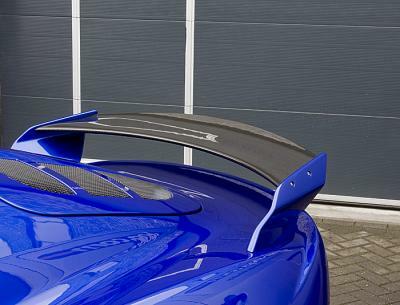 The Aerofoil is the part in between the two spoiler sides. The sides are not included. Ultra light weight, beautifully crafted and off course... real Carbon Fibre!